Fight between individuals in Gambella prison escalated ethnic violence between ethnic Nuér and ethnic Agnuak. 92 inmates escaped in the ensuing situation. Gambella region prison administration, in the southwestern part of Ethiopia, disclosed that 92 inmates escaped following violence in the facility. 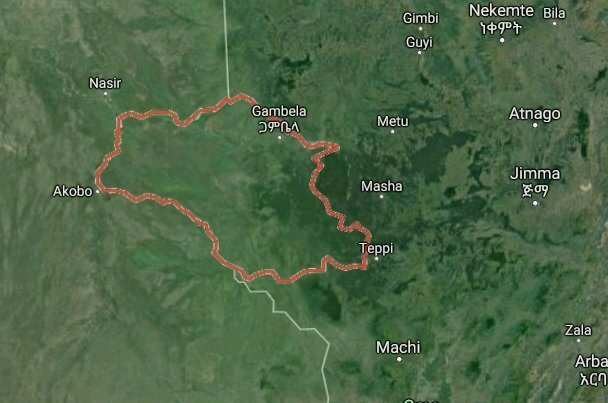 According to a report by DW Amharic which cited Gambela City Mayor (Kot Mentap), it was a fight between two individuals, which happened on Monday, that escalated to prison-wide violence. The two individuals got into a fight when fetching water and then the fight took a form of ethnic conflict between Nuér and Agnuak. Gunfire rocked Gambella City at a time when the violence broke out in the prison facility, added the report by DW citing an eye witness, whose name is not mentioned in the report, from the city who claimed to know that he knows the prison. He also remarked that the number of prisoners who escaped is high given the total number of prisoners. Gambella City Mayor said that security forces are deployed to recapture inmates. There are no reports of casualties from the violence in the prison. In recent times, violence in prison and attempts to escape prison is recurring in Ethiopia. In March of this year, clashes in prison in Bahir Dar, capital of Amhara regional state, reportedly left five prisoners dead.